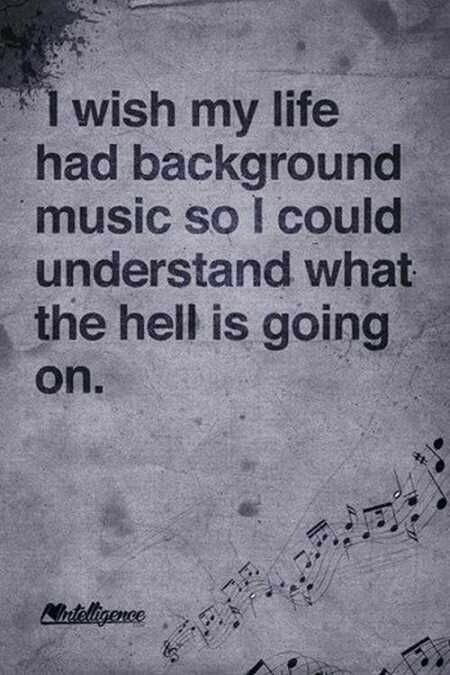 I wish my life had background music.. It would be so great wouldn’t. Posted on January 20, 2017, in Humour and tagged funny, Humour. Bookmark the permalink. 1 Comment.